Strong leadership is the driving force behind our company's vision. Tom Mitchell is the founder and chief executive officer of Actsoft, Inc. Prior to starting Actsoft, Tom spent 12 years with Lincoln Property Company, gradually rising to the position of vice president and southeast division controller. During his tenure with LPC, he designed and implemented a number of computer automation projects. He was the first to introduce computers to apartment sites so the company could better manage their leasing business. Tom started Actsoft in 1996 as a custom software development company, seeking a niche market to penetrate. Quickly Actsoft seized an opportunity in the transportation industry, servicing same-day delivery companies. He has diligently sought and positioned strategic professionals within his organization to ensure that the very best experience is had by customers, partners, and employees alike. With over twenty years of tenure, Actsoft now boasts approximately 150 employees, markets several lines of software, has relationships with all of the major U.S. carriers and several international carriers. Tom has molded Actsoft into an industry leader and has successfully accomplished this with little outside investment. Actsoft continues to remain a profitable company partnering with new carriers and customers while expanding its base of GPS solutions. Tom is a high-honors graduate of the University of Florida with a degree in building construction. Tom Mitchell is Actsoft’s CEO and founder. 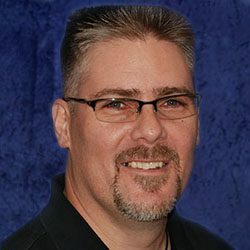 Tom started Actsoft in 1996 as a custom software development business, after gaining 12 years of experience designing computer projects and ascending to leadership roles with Lincoln Property Company. He is a graduate of the University of Florida, and continues to direct Actsoft as an industry leader in the telematics sphere. Kevin Thigpen brings his many years of experience in the wireless telecommunications industry, having built and launched entire wireless networks from the ground up. He currently manages and directs the various business operations aspects of Actsoft on a domestic and global basis. He leads the Software Development and Quality Assurance teams, Marketing and Training, Customer Experience, Professional Services, Strategic Accounts, Product Management, Product Design, Strategic Alliances, and Business Development. Kevin has negotiated multiple relationships and long-term contracts with AT&T, Verizon, Vodafone, Bell Canada, and other strategic partners. His contributions have helped to grow and diversify Actsoft’s revenue. At his previous position with IT2ME, Kevin worked directly with the lead investor to start the company and launch its GPS and location-based services (LBS) wireless business solutions. He successfully negotiated strategic agreements with Sprint/Nextel and other key business partners to deploy GPS applications across the United States. Kevin helped position the company to be acquired by Actsoft in 2006. Kevin started his career in 1987 with GTE where he held a variety of positions in sales, marketing, distribution, operations, and general management in several key regions. At GTE, he helped to build GTE’s wireless business in three key markets — Tampa, Florida, Northern California, and Cincinnati, Ohio. He consistently exceeded his goals for sales, revenue contribution, net growth, and performance against budget. Kevin was a member of several GTE companywide leadership teams, including GTE’s Workforce Diversity Program, and he served as an advisor to the Culture Steering Committee. Kevin also represented GTE as a member of the LEAD board of directors. Prior to leaving GTE, he was responsible for GTE’s first commercial launch of Personal Communications Services (PCS) and the CDMA digital wireless network in the Cincinnati-Dayton Major Trading Area (MTA). Kevin earned his B.S. in economics from the Wharton School of Business at the University of Pennsylvania, with dual majors in finance and marketing. Kevin Thigpen is Actsoft’s COO. Kevin has an extensive background in the wireless telecommunications industry, and he currently manages business operations for our company on both a domestic and a global scale. He holds a Bachelor’s degree in economics from the Wharton School of Business at the University of Pennsylvania, with dual majors in finance and marketing. With his decades of financial management and leadership experience, Jeffrey’s wealth of knowledge spans across a variety of different industries, and he has proven to be a tremendous asset to the company. Jeffrey received his CPA in 1988, and he spent the first 11 years of his professional career as a senior audit manager for Plante & Moran, LLP. There, he supervised staff in client relations and excelled in leading a new hire training team. Later, he began work as a CFO for Ideal Technology Solutions, Inc. in Royal Oak, Michigan. During his tenure there, he helped the company achieve a $20 million profit increase from 1997 to 2000, and he developed his leadership skills further by advancing to executive finance positions with four other companies before finally coming to Actsoft in 2016. He has displayed sharp business acumen and poise while serving as Actsoft’s CFO through strategic risk management, intelligent financial planning, and strong organizational leadership. His assistance in pinpointing new business opportunities and his provisions of keen cost analyses have also made positive impacts on the company’s bottom line. Jeffrey is a graduate of Hillsdale College in Michigan, with a Bachelor of Arts in accounting. He currently resides in Odessa, Florida. Jeffrey Gatt is Actsoft’s CFO. With decades of financial management experience, Jeffrey’s leadership, intelligent budget planning, and strategic risk management have proven to be tremendous for Actsoft. He is a graduate of Hillsdale College, with a Bachelor of Arts in accounting. Andrew started with the company in 2004, and he has remained a cornerstone of the company’s success throughout the entirety of his tenure. As both an accomplished sales team member and sales team leader, his expertise in building strong business partnerships has been evident during his career at Actsoft. He has played significant roles in helping Actsoft foster partnerships with industry juggernauts such as Alltel, Verizon, and AT&T, and his leadership to the company’s sales representatives has been instrumental to the team’s expansive growth over the past decade. His experience in working for Charter Communications, Cingular Wireless, and Nextel Communications also helped culminate in the strong leadership and savvy know-how that he has brought to the Actsoft sales force. 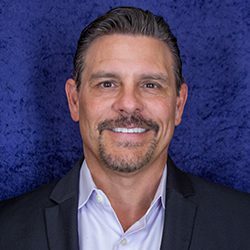 Andrew began his career at Actsoft on the sales team, and he held the positions of national sales trainer, business development manager, and director of sales for the East Coast before earning the title of executive vice president of sales. Throughout the course of his career, he has helped grow Actsoft from a small business into a dominant player in the mobile resource management (MRM) software industry. He looks to continue growing Actsoft’s domestic and international brand presence alike for years to come. Andrew Velker is Actsoft’s executive vice president of sales. Andrew started with the company in 2004, and he has remained a cornerstone of Actsoft’s success throughout the entirety of his tenure. As both an accomplished sales team member and sales team leader, his expertise in building strong business partnerships has been evident during his career at Actsoft. He has played significant roles in helping Actsoft foster partnerships with industry juggernauts such as Alltel, Verizon, and AT&T, and his leadership to the company’s sales representatives has been instrumental to the team’s expansive growth over the past decade. Andrew looks to continue growing Actsoft’s domestic and international brand presence alike for years to come. David Knight has many years of experience in digital marketing sales and operations, customer experience management, business operations, and mobile innovation for news media and internet companies. He has managed customer relationships for more than 75,000 U.S. and international customers, and has advised more than 500 businesses on mobile marketing and customer strategies. Prior to joining Actsoft, David held leadership positions at The New York Times, The Philadelphia Inquirer, and NBC-12 News, among others. He has been recognized for his successful leadership of customer relations and strategic revenue partnerships for major brands like CNBC, Charles Schwab, Weather.com, Macy’s, and Cars.com. He led the revenue teams for the launches of Philly.com, Miami.com, TampaBay.com, and PolitiFact.com. In Philadelphia, he cofounded and chaired The Philadelphia Inquirer’s Intelligent Investing Conference and Expo — the largest investing education conference on the East Coast. David is a Toastmasters International public speaking contest champion. He has lectured for the Warton School of the University of Pennsylvania, Howard University, Yahoo! CEO Summit, and the Software & Information Industry Association, and is a recipient of the Yahoo! Advertising Innovator of the Year award. He has a BA in journalism and advertising from Temple University and is a graduate of the Advanced Executive Program at Northwestern University’s Kellogg Graduate School of Management. David Knight is Actsoft’s vice president of customer experience. Having spent time in leadership positions at The New York Times, The Philadelphia Inquirer, and other media organizations, David has proficiency in managing top tier customers, strategic partnerships and ‘customer experience’ principles. He has a Bachelor of Arts in journalism and advertising from Temple University, and is a graduate of the Advanced Executive Program at Northwestern University’s Kellogg Graduate School of Management. Trent brings years of transportation and software design experience to Actsoft. After attending the University of Iowa, Trent was one of Actsoft’s first customers while working as a dispatcher for a same-day delivery company in the Seattle area. He joined the company in 2003 as the product manager for our Comet Tracker software, and has had numerous roles within Actsoft, focusing primarily on our products and technologies. 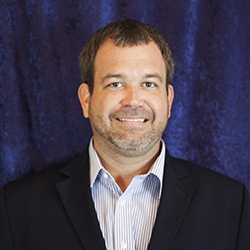 Trent has previously served as Actsoft’s director of product, director of QA, and vice president of technology. Trent is the primary technical contact for partners and carriers. He assisted in onboarding Alltel, Verizon, AT&T, Vodafone, Vodacom and Maxis in both domestic and international markets. Trent continues to work with and identify partners from a business development and technical aspect to further drive Actsoft’s strategic initiatives. Trent retired from the U.S. Army after serving a tour of duty in Iraq. He resides in Tampa, Florida. During his experience in the wireless communications industry, Michael has interacted with hundreds of businesses. He brings to the Actsoft team a wealth of knowledge, and understands how different businesses utilize wireless technology. After beginning his career in the St. Louis market in sales, Michael quickly moved up to sales and operations management. He then moved to Chicago to run another B2B wireless sales organization. Throughout his tenure, he has successfully worked with his team to leverage wireless phones toward providing effective solutions. In 2006, Michael came to Actsoft to lead the Midwest market, and in 2008, he moved to our headquarters in Tampa, Florida with the goal of providing maximum value and ease of use to all of Actsoft’s clients. Michael Courter is Actsoft’s vice president of product management. He brings to the Actsoft team a wealth of knowledge, and a unique understanding of how different businesses utilize wireless technology. After beginning his career in the St. Louis sales market, Michael quickly moved up to operations management. In 2006, Michael came to Actsoft to lead the Midwest market, and in 2008 moved to our headquarters in Tampa, Florida, with the goal of providing maximum value and ease of use to all of Actsoft’s clients. Andrew Bickers is Actsoft’s vice president of sales. Andrew’s career started with work in government sales for Sprint, and he was brought on by Actsoft after years of partnering with our company. He excelled in his initial role as a territory manager for Actsoft, and earned the positions of regional sales manager and national director of sales, before being named vice president of sales. Andrew’s leadership to Actsoft’s team has been invaluable, and he seeks to bring the power our applications to any organization with a mobile workforce. 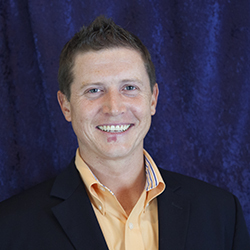 Aaron Watkins is Actsoft’s vice president of acquisition and retention. Prior to joining Actsoft in 2004, Aaron worked for several Fortune 500 companies, gaining crucial experience in computer support and information technology during the process. He began his career with Actsoft in tech support, and has held previous roles in sales, sales management, training, and business development. Over the years, Aaron’s steadfast leadership has remained essential to our organization, and he’s seen firsthand what Actsoft solutions can do for companies of any size, and any industry.